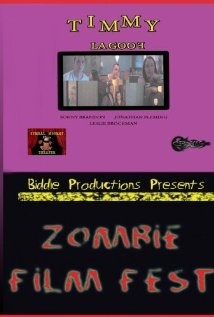 About six years ago I woke and came up with a concept for a bunch of short Zombie movies. This was after we had made a short titled Timmy LaGoof. Anyway, I wrote the zombie scripts in a few days and I laughed the entire time. When you're a tiny dreamer of an indie filmmaker you just want to share the voices in your head. This was before The Walking Dead made zombies mainstream. If you ever wanted to see the evolution of a filmmaker you may want to spend an hour or so watching our first DVD release, Biddle Productions Presents. I'm not going to lie to you and say the is the best movie. It has it's flaws but it's just a fun watch and it movies quickly. I can guarantee that you haven't seen zombies done in this way before. Some of the fantastic cast in these short films are: Ron Ford, Jonathan Fleming, Christopher Behrens. This group of shorts are near and dear to me. They allowed me to learn my craft and we just had a blast making them. Final Athena Times (Fortnite Newspaper) of Season 7!